Имате въпрос към Suorkear Boutique Hotel & Spa? Удобно проектиран като за бизнесмени така и за почиващи туристи, Suorkear Boutique Hotel & Spa е идеално разположен в Sala Kamreuk - една от най-посещаваните части на града. Вълнуващият център на града е само на 1.8 km оттук. Хотелът предоставя също лесен достъп до безбройните градски забележителности и атракции като Seasons Dangkor Hotel, Angkor Artwork E&T Stocker, Плувен басейн Aqua. Прави се всичко възможно гостите да се почувстват удобно. Затова хотелът предоставя най-добрите услуги и удобства. Хотелът предлага достъп до широк спектър от услуги като безплатен WiFi достъп във всички стаи, 24-часова охрана, ежедневно почистване, магазин за подаръци/сувенири, пощенски услуги. Влизайки в една от 25 уютни стаи, ще забравите за ежедневния стрес с помощта на удобства и съоръжения като телевизор с плосък екран, стойка за дрехи, безплатен чай, уелкъм дринк, спално бельо в някои от тях. Пълният списък от съоръжения за отдих е достъпен в хотела и включва гореща вана, открит басейн, спа, масаж, басейн (за деца). Каквито и да са поводите за Вашето пътуване,Suorkear Boutique Hotel & Spa е най-доброто място за престой, което можете да изберете в Сием Реап. Additional terms and conditions apply for the gala dinner on the night of December 24 and December 31, 2015. Летищен трансфер е на разположение срещу допълнително заплащане. За да резервирате трансфер, уведомете обекта относно подробностите свързани с пристигането ви преди да завършите резервацията. When booking for 3 or more nights at Family Suite, the property offers complimentary 1 free meal for lunch or dinner for 4 adults. 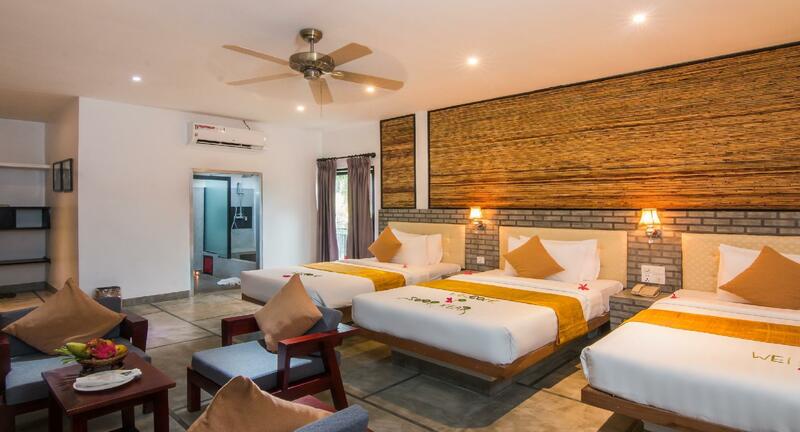 Though hotel bit out of town but it is convenient as they will assist you to arrange tour and tuk tuk services to town. Staff can speak well English, try their best to accommodate our request. Very considering, allow us to check in early, we book triple room and they upgraded our room to family room without us to request. The only demerit is there are many mosquitos. Отседнахме 5 вечер/и в февруари 2015 г.
the four people room is big and clean. The staff are kind and helpful. The breakfast with the pool view is a must to enjoy. Also the hotel spa is wonderful and relaxing. But the location is a little far from the town. It takes 10 minutes to go in a tuktuk car. 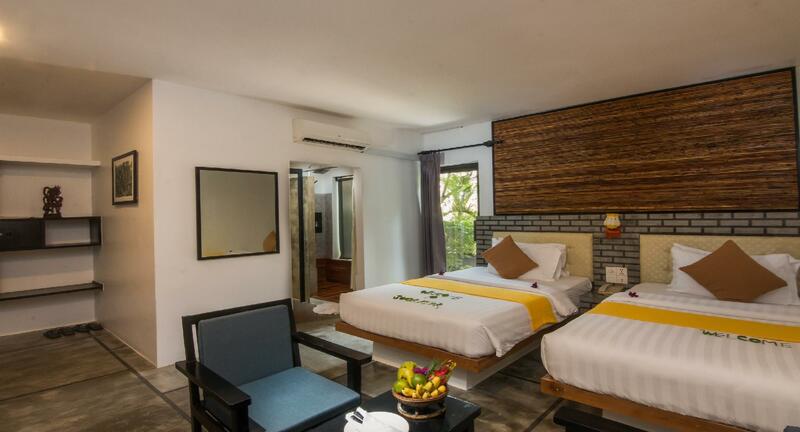 Overall, it is a high value hotel. The hotel is quite far from town but overall are good! Staffs are very friendly and helpful. Free wifi. The hotel food is delicious and generous especially the breakfast but it seems to take long time for food preparing. They have free tuktuk to town and airport transfer too. Will come back here if there is next visit to Siem Reap! On the hotel's business card it says "heaven of tranquility" and in our opinion it's the perfect definition for it. The hotel is so beautiful, it has a gorgeous pool (we even swam in its warm water when it was raining) and the rooms are very nice and comfortable with cute verandas. The crew did their best to make us feel welcomed and happy; they greeted us with a kind smile every time they saw us, and always asked for our day… If you are worried about the location, don't be. They have a free Tuk-Tuk service to the city center and back (only a few minutes drive). BTW, if you would like a good massage you should try their spa, we did the Khmer Massage which was great. Отседнахме 5 вечер/и в май 2014 г. Stay is excellent. The housekeeping staff will make our room at least twice a day. Breakfast is provided. We love their chicken congee and rice porridge. You can have more than a set of breakfast from their menu. Pool is big. 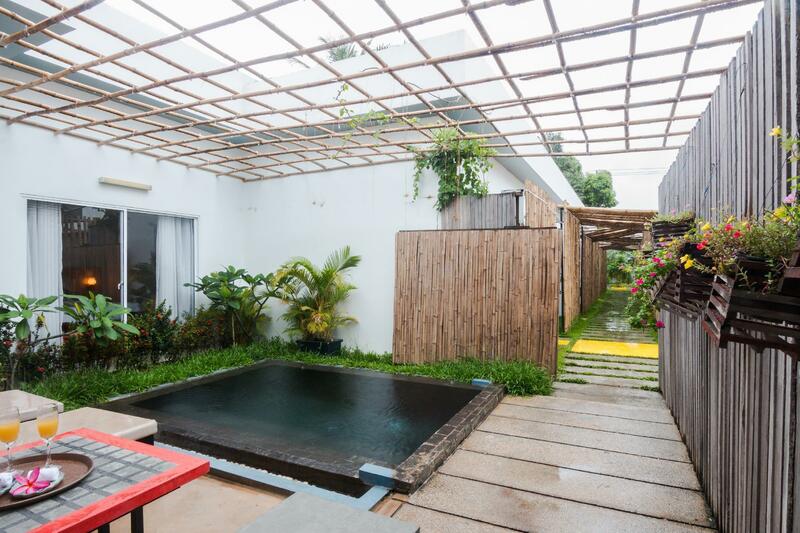 Our room is pool facing therefore access to pool is very convenient. The place is quiet and serene. Airport transfer to and fro is provided. Tuk tuk service is provided when you leave the hotel for old market. Hotel service is excellent. Price is value for money. 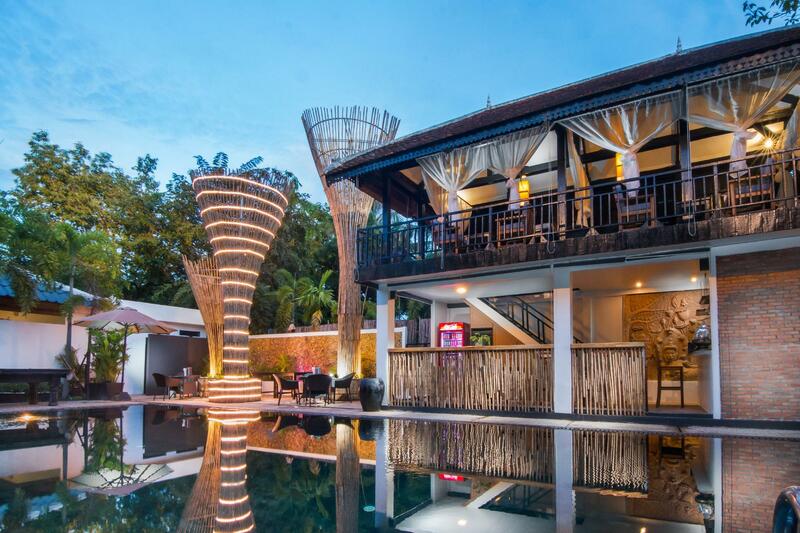 Will definitely recommend this hotel to my friends visiting siem reap. This is the best hotel I've stayed in with unbelievable price. The staff is more than perfect. They always smiles and very friendly (no feeling of pretending). They are always available to help. Its location is a bit far from center but it offers free tuk tuk, even to the airport. Spa is nice too with 20% discount at that time. We regret that we found the hotel too late so we just stayed there one night only before coming back home. The room is nice and cozy with relaxing smell. The bed is so comfortable and we had best sleep ever. The swimming pool is also clean and wonderful. The atmosphere is peaceful and the breakfast is so delicious. I even chose one Cambodian dish and one Western dish and they were great. 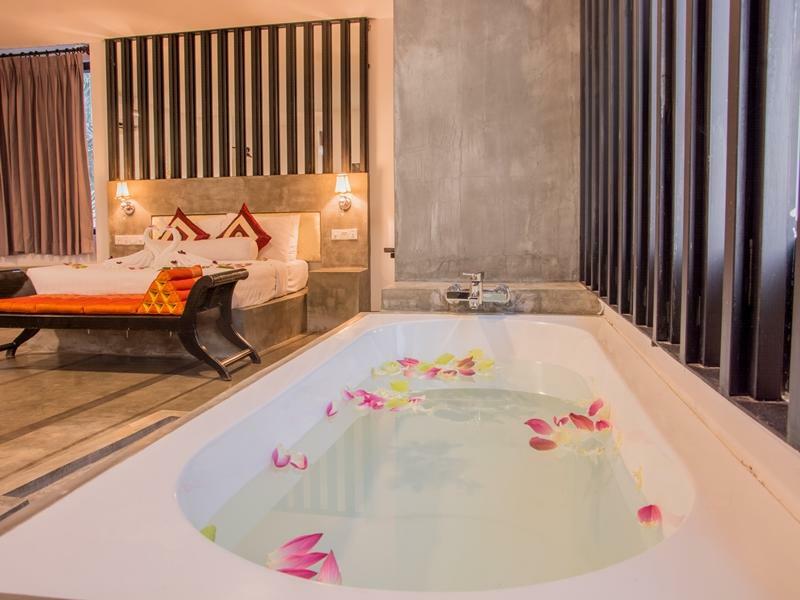 Definitely stay here if we come to Cambodia again. The staff went out of the way to help. The location is a bit out of Siem Reap but the free tut tut service more than makes up for it. Prices for outings were on the expensive side (the dollar is strong against the £) but were of very good quality. 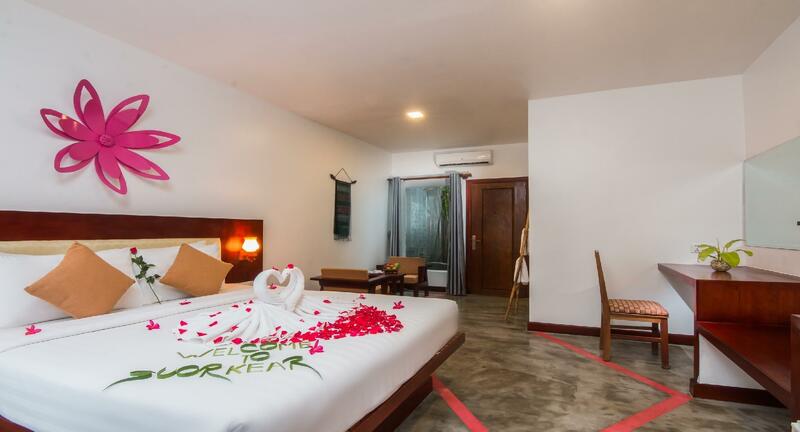 Dear Helen , Thank you very much for your valued time to writing a review for us, we are very pleased to hear that you had enjoyed of your recent stay during your trip in Siem Reap. Furthermore, we we do apologize for any inconvenient as well. Thank so much for your stay and feedback. We are looking forward to seeing you again Best Regards, Suorkear Team . The food was really great plus the restaurant staff very accomodating. Our room is so big and clean except for some mosquitos you need to spray more mosquito killer the pool is clean and well maintain. But one thing i hate is that the tuktuk driver service from the hotel left on the pub street. Were so thankful that we bring along our hotel voucher so were able to go home safely. Hotel provided free shuttle for round trips to the airport and town. Breakfast was delicious, includes local and western menu, can order until you are full. The hotel will prepare a breakfast pack for your sunrise trip if you inform them one day before. They have this 20-min policy where any problems pertaining to your room is solved within that time frame. Very friendly and capable staff - good job! We had wonderful 5 days in this hotel. The staff were always trying their best to help and give useful information. A big thumb up to the free tuck-tuck service. Food at the restaurant was tasty at very reasonable price. The only complaint was few flies at the restaurant. 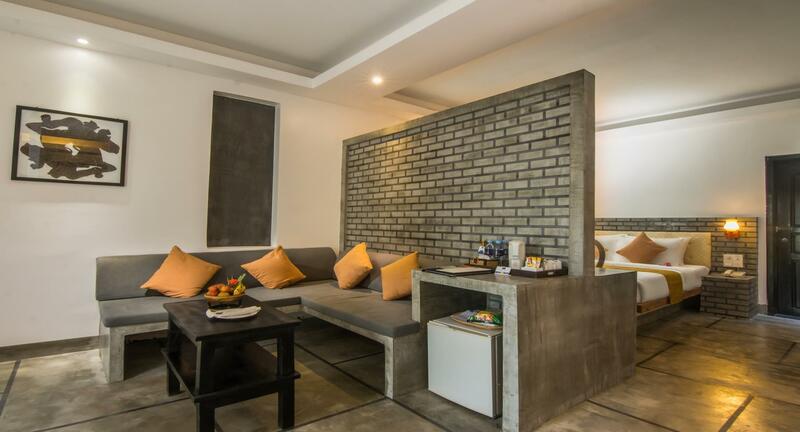 We will highly recommend this hotel to others and would definitely go back to stay. Thank you again for the fantastic hospitality. Caring staff, excellent food, wonderfully relaxing after a busy day. Although a bit out of the way, a complementary tuk tuk is always available for a short ride into town. Availability of tours to the Ankar Wat complex and beyond was a definite plus. 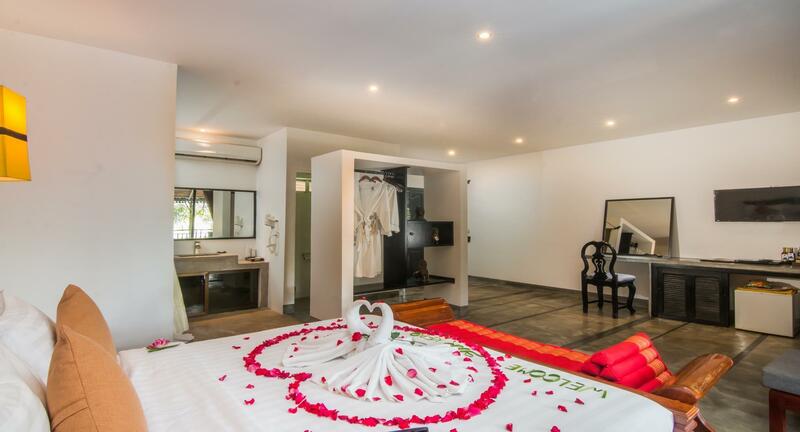 We highly recommend this wonderful Boutique Hotel and Spa!